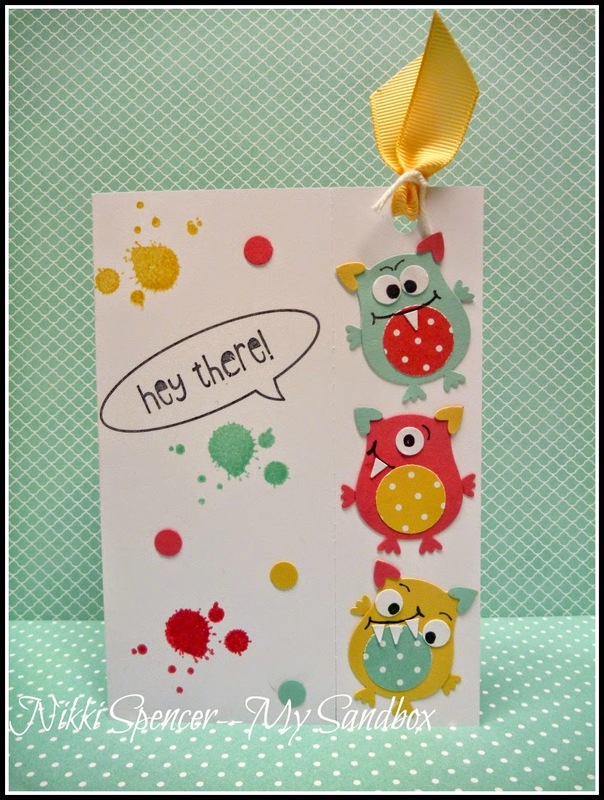 Here's what l came up with, the mini monsters are attached to a perforated panel on the card, which once detached is a little book mark...perfect for giving with a book or book shop voucher for a little person. 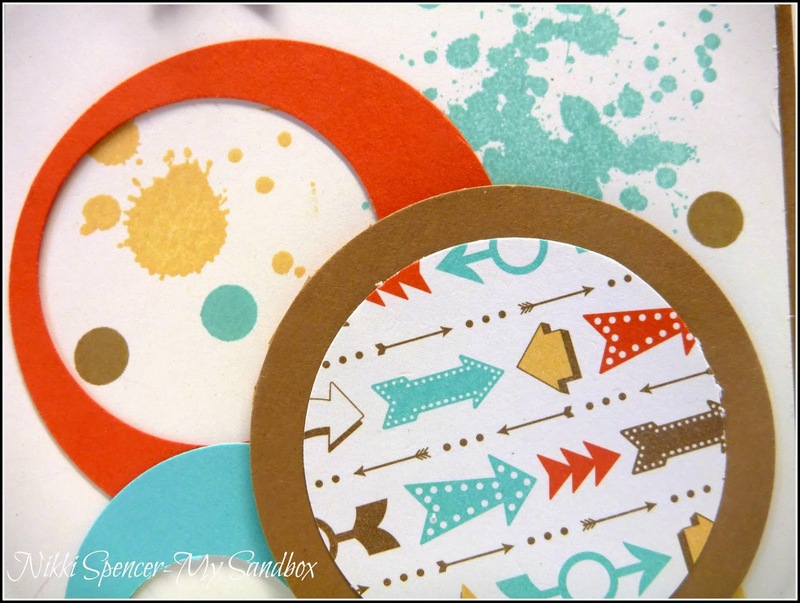 They were created using the Owl Builder Punch, 3/4" Circle & Sm Star Punches and the colours l used are Pool Party, So Saffron & Strawberry Slush! 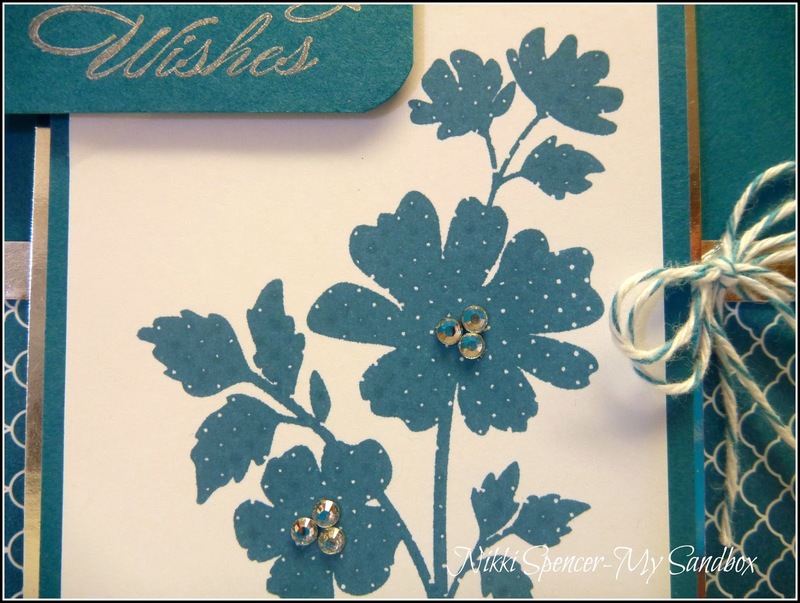 To create the bookmark, l used the perforated rotary wheel from SU. 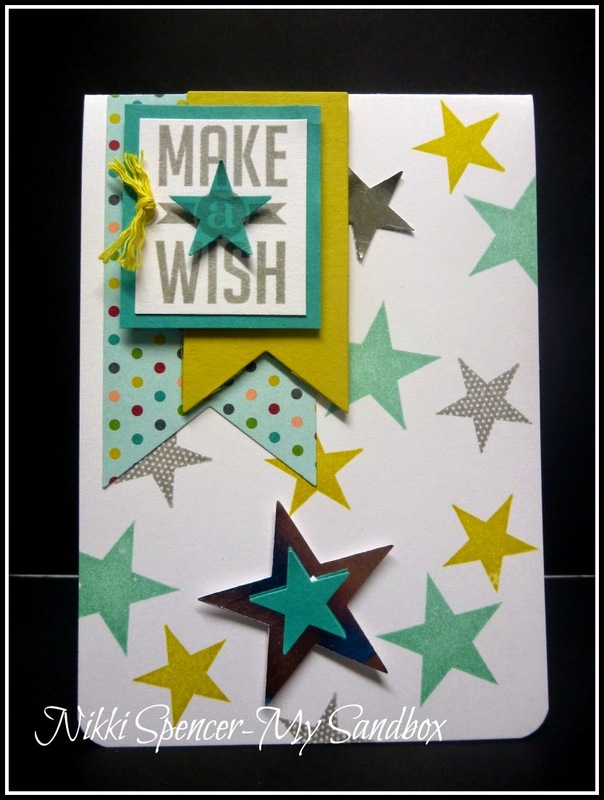 Happy Monday everyone!....Hope you all had a lovely weekend and managed lot's of fun crafting time..:0) Today's card share is another simple one, using the Simply Stars Set, Perfect Pennants Bundle and the colours are Pool Party, Summer Starfruit, Bermuda Bay, Smoky Slate & some Silver Foil Cardstock. 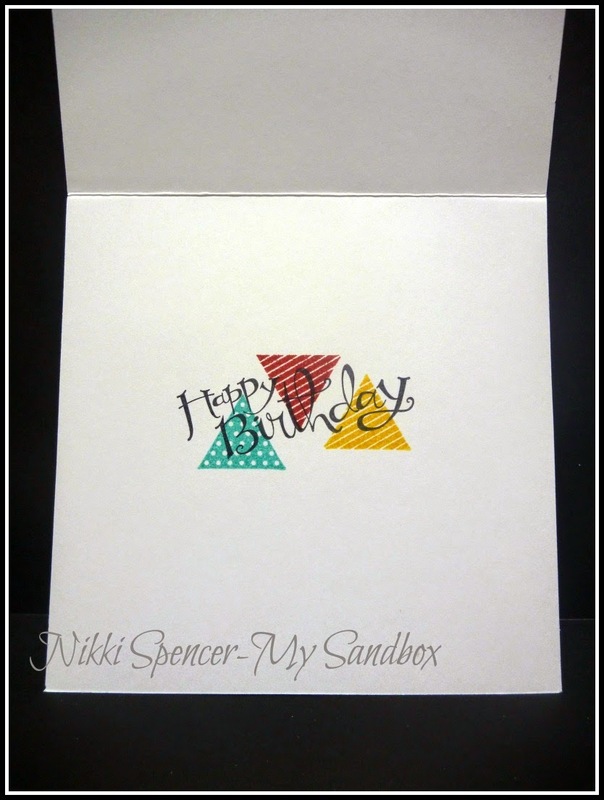 Just Add Ink #212....Colour Challenge! 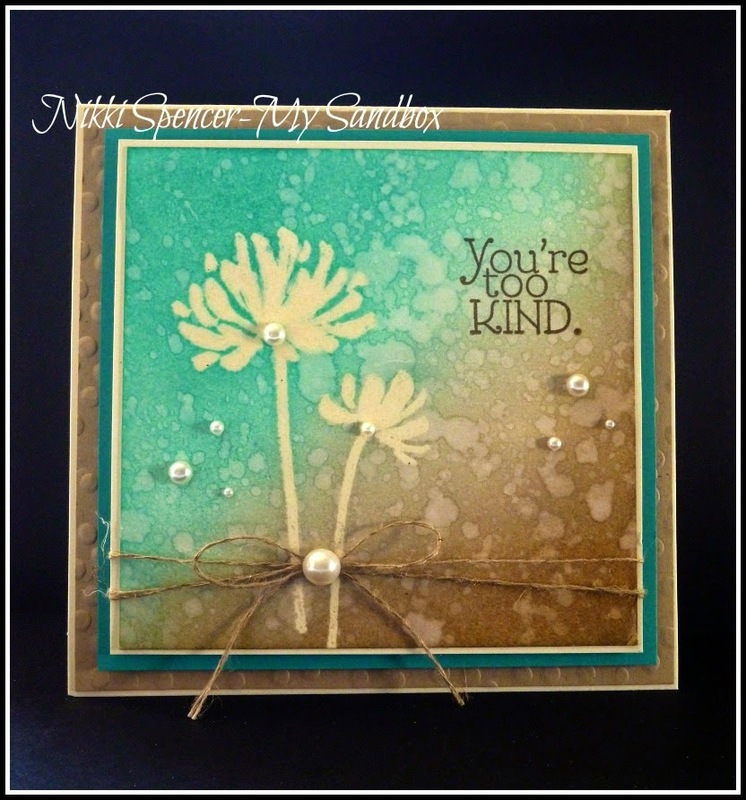 I started by clear embossing the flowers from the "Too Kind Set" and used sponges to lay down the colours on Very Vanilla Cardstock, applying Bermuda Bay first to one half and Crumbcake to the other, making it darker at the bottom with some Baked Brown Sugar. To create the speckles, a fun technique that l love using, l sprayed some water into my hand and flicked it all over, leaving it to wick out and dry naturally....Pretty cool huh! 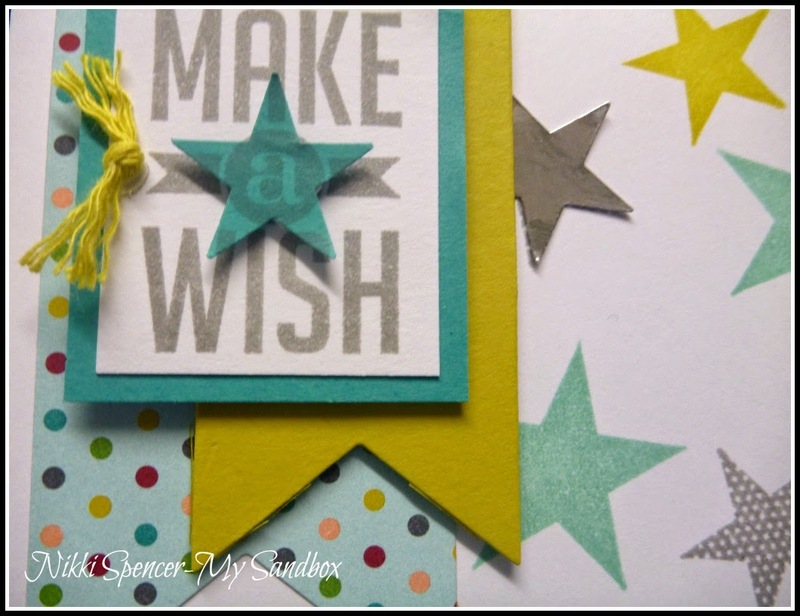 The design team have created some fabulous samples using this great colour combination, don't forget to pop over to the challenge blog and check them out! 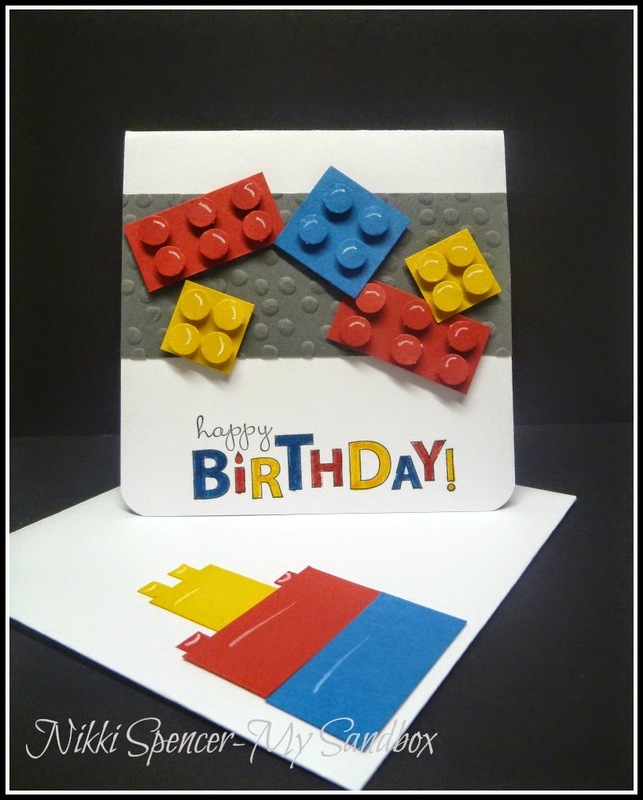 Hey bloggers!...Just popping in to share a super quick little Lego card, perfect for a little person. 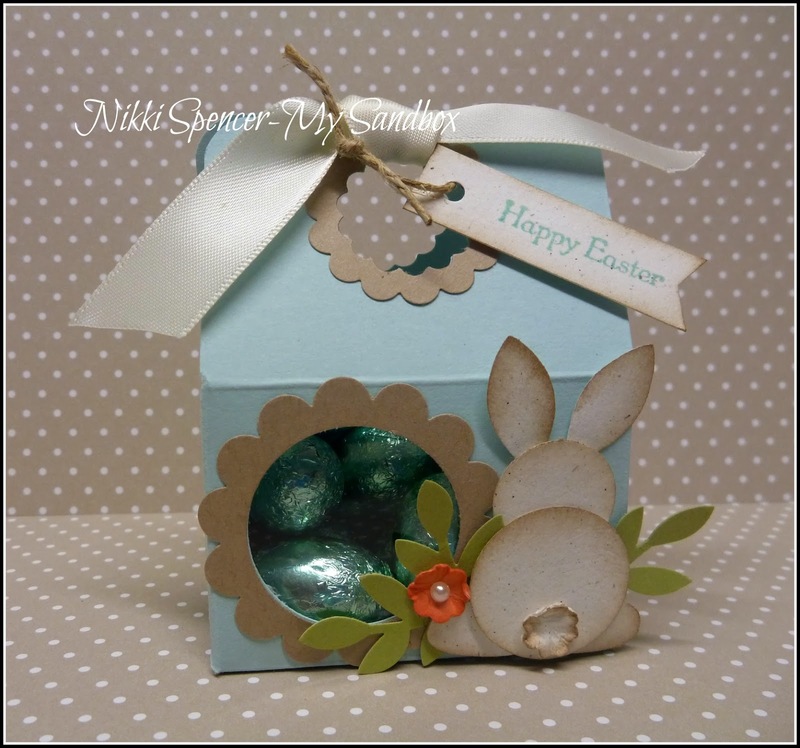 It's another of my Easter playtime projects for one of the many upcoming birthdays this month. l think most kids love Lego in some form, l know my lot had buckets of the stuff when they were little and it's now done a full circle through nieces and nephews and has come back to the grand kids! I do have to laugh at the complaints of standing on the stuff..(insert evil grin here) as l so remember the pain..:0) But it's fun to play with! 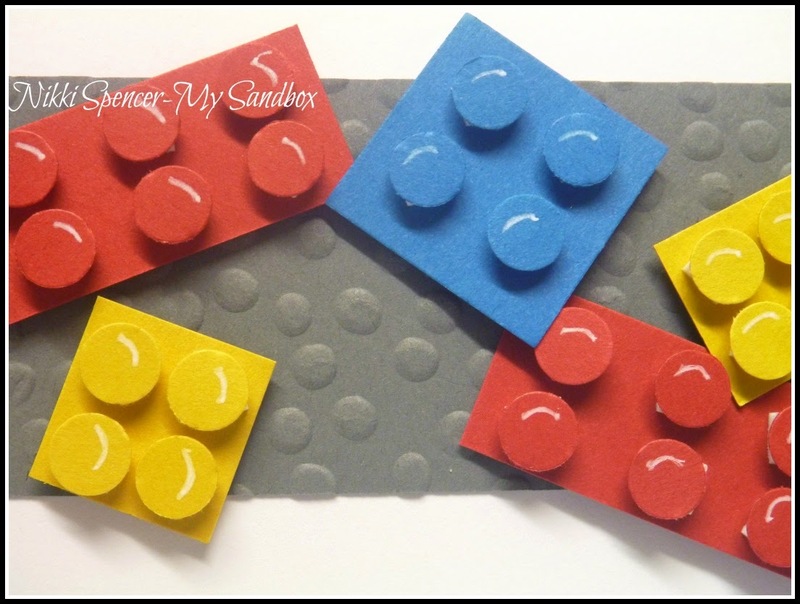 To create the dot's on the Lego blocks, l used the Owl Builder punch eye's, they were the perfect size for 3/4" block pieces. 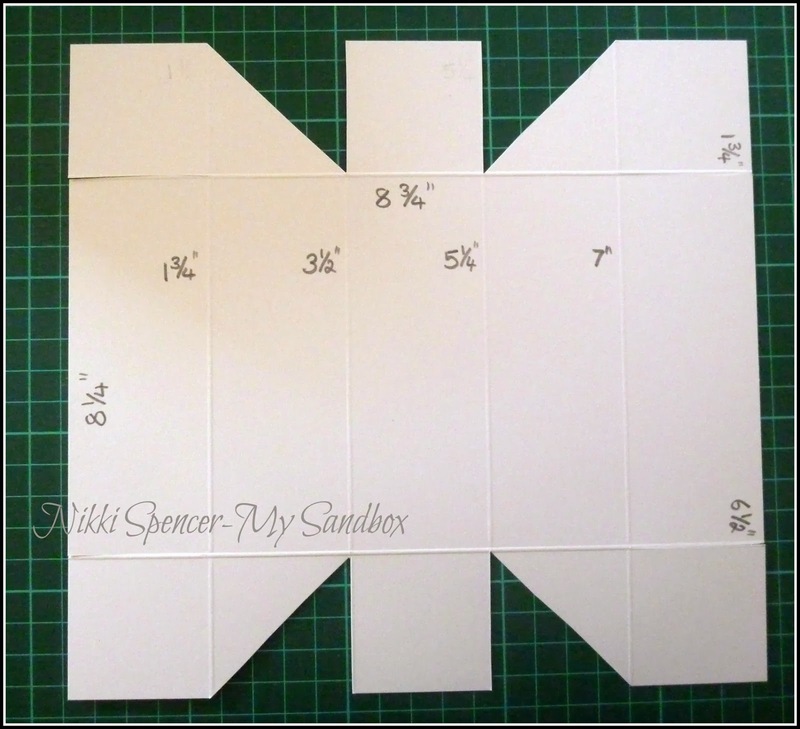 I created the 4"x4" envelope with the Envelope Punch Board, it's such a handy tool and l never have to stress about finding the right size..:0) I also used it to round the corners on the card...total bonus having that, l hardly ever use my punch anymore! 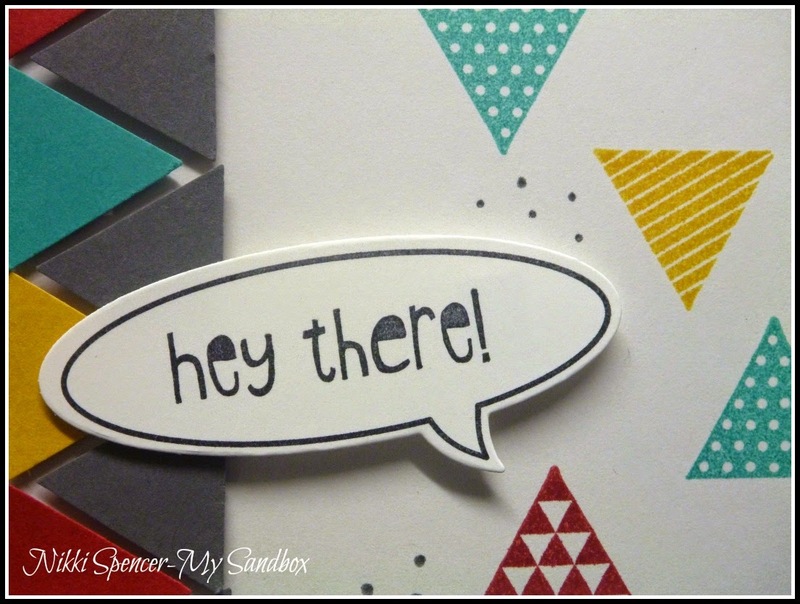 "Thanks for stopping by and have great day"
Evening everyone!.....Hope you all had a lovely Easter & over indulged on all it entails...:0) I thoroughly enjoyed lot's of family time, relaxing and some playtime in my studio...A perfect way to spend a few day's! 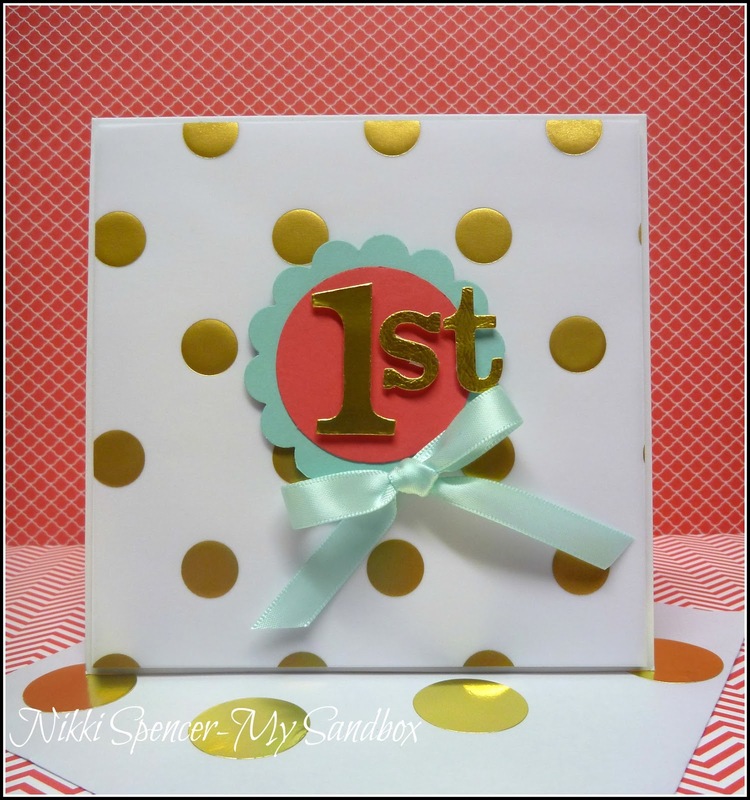 The last few weeks of April are just crazy busy with Birthdays, so my crafting time was mainly spent getting lot's of cards made for various family members and the odd friend or two. 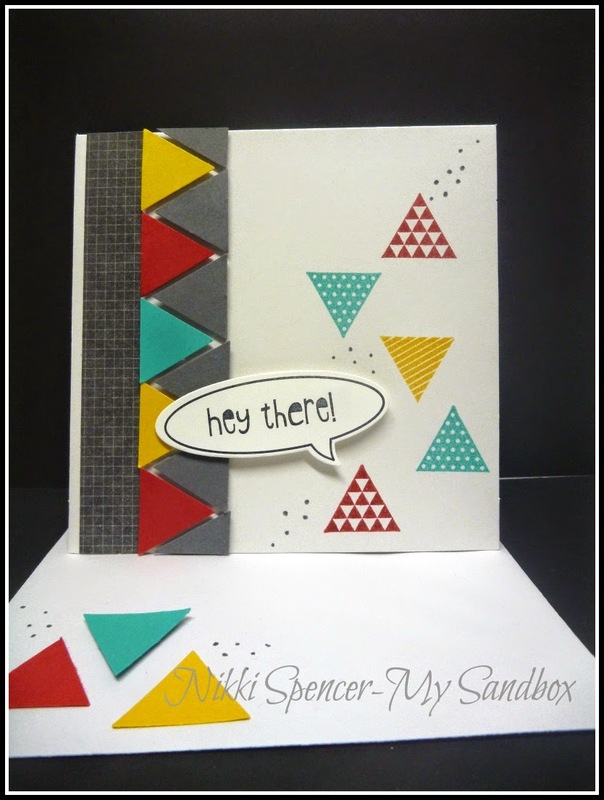 I went CAS for this one and hopefully achieved a bit of a masculine feel, aiming for the younger generation, l chose the fun Geometrical & Just Saying Bundles and l must say I'm pleased with the result. 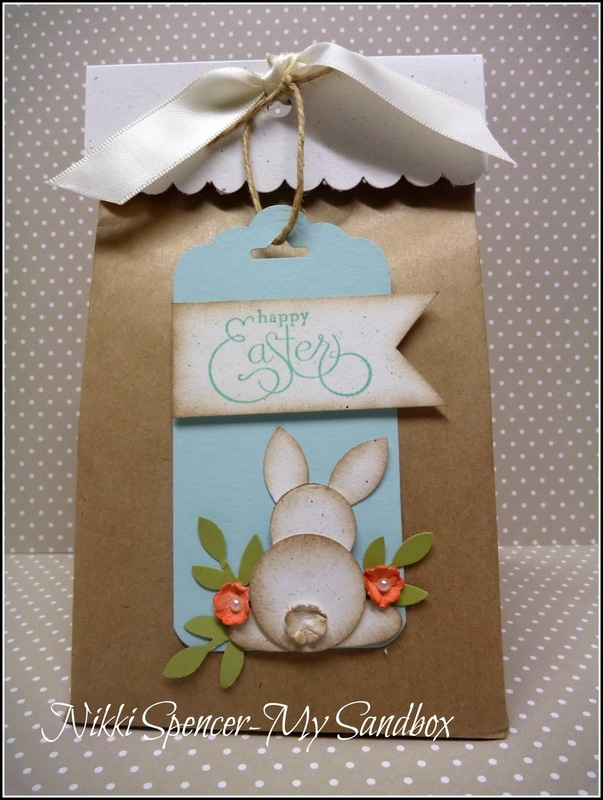 Happy Easter everyone!...This weeks Just Add Ink challenge is this lovely sketch from Paula. 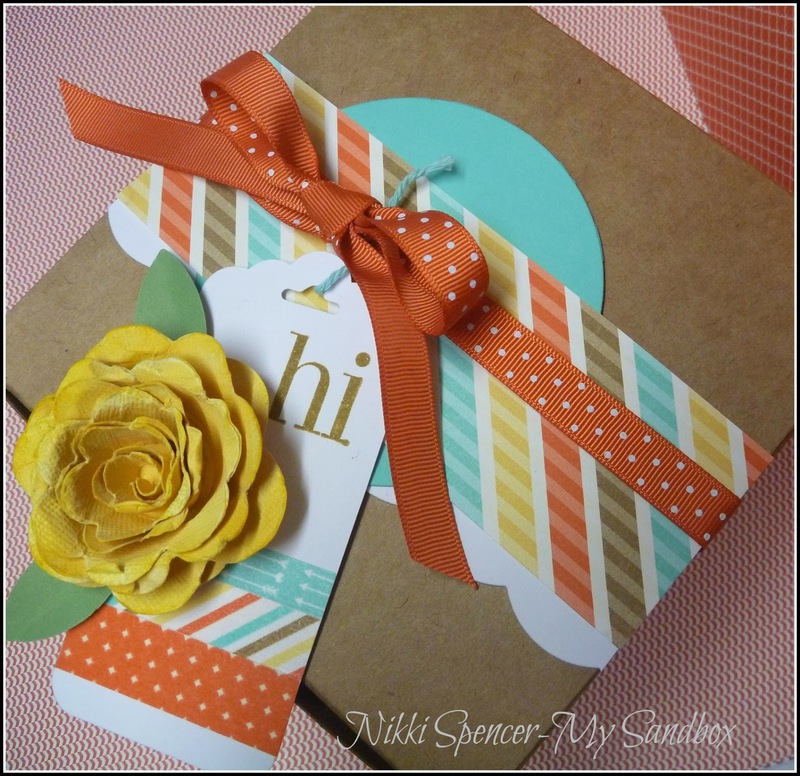 I love the simple lines and shapes and thought l would put it to use on one of the large & lovely Kraft boxes from SU. 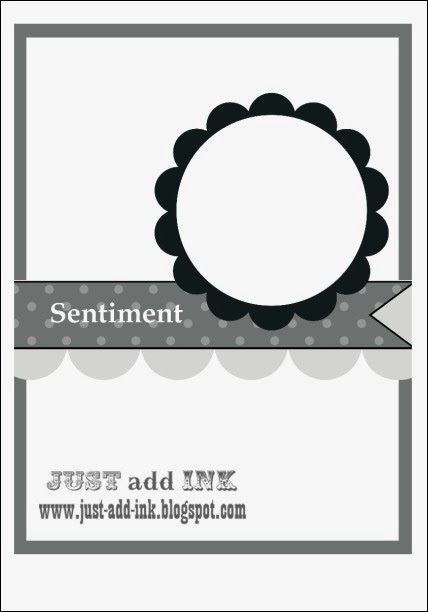 I stuck to some simple details for the box top, using the sketch layout for that and created a tag to sit on top. 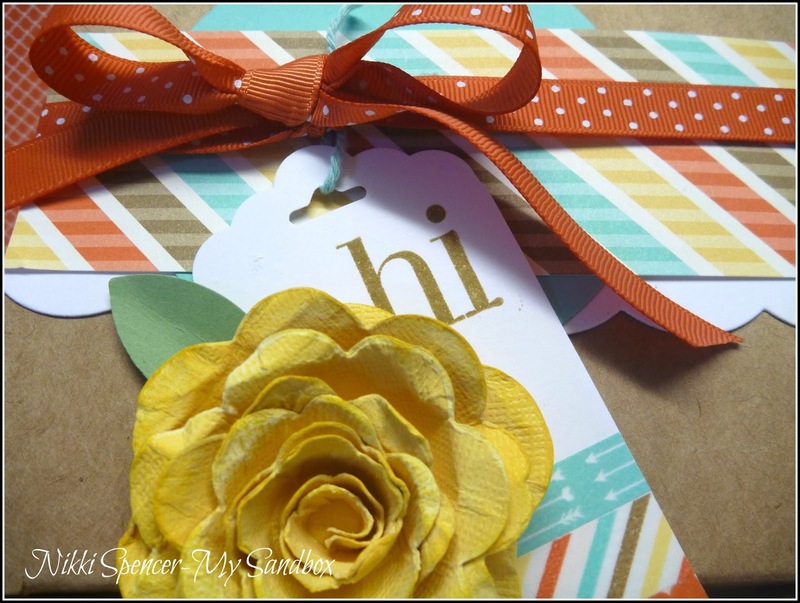 To create the flower l used this great tutorial from the talented Patty Bennett and the Spiral Flower die available in the current seasonal catalogue and two pieces of Core'dinations card stock in So Saffron & Daffodil Delight, cut, rolled and hot glued together with some scrunching and sanding and it was done...I really love the colours in the Retro Fresh DSP, and that it has a coordinating set of Washi Tape is awesome! 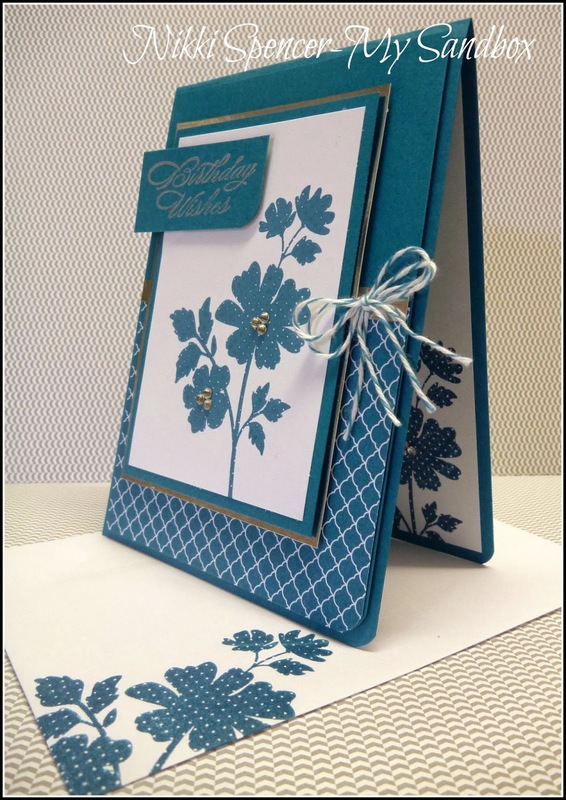 Don't forget to pop over and check out the design teams sketch samples and if you're looking for some inspiration over the Easter break, grab the sketch and play along, we'd love to see how you would use it! 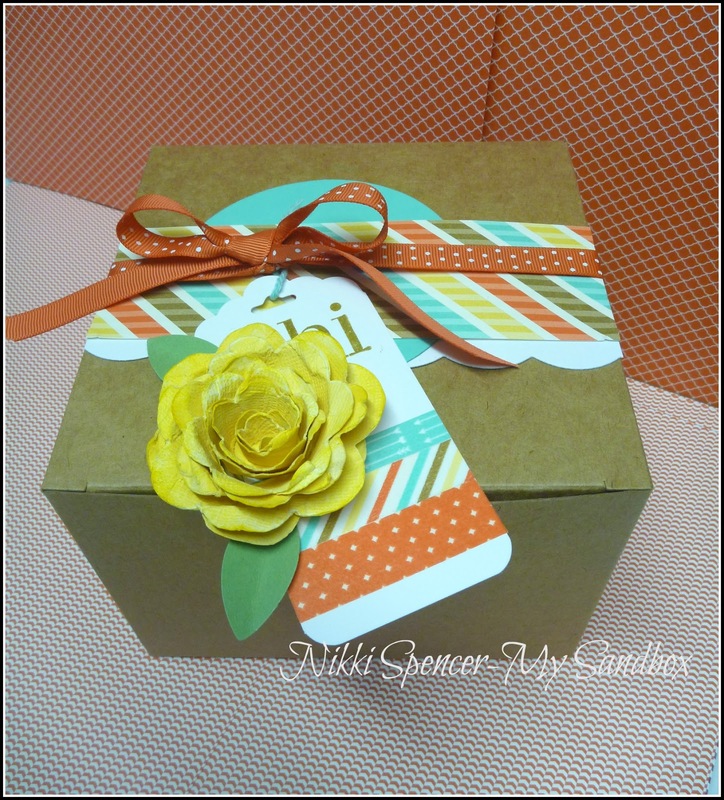 Good Morning!....In keeping with our theme over at Just Add Ink this week, l have another project using the same cute caddy style box from my previous post, with the original measurements from Dawn's great tutorial. 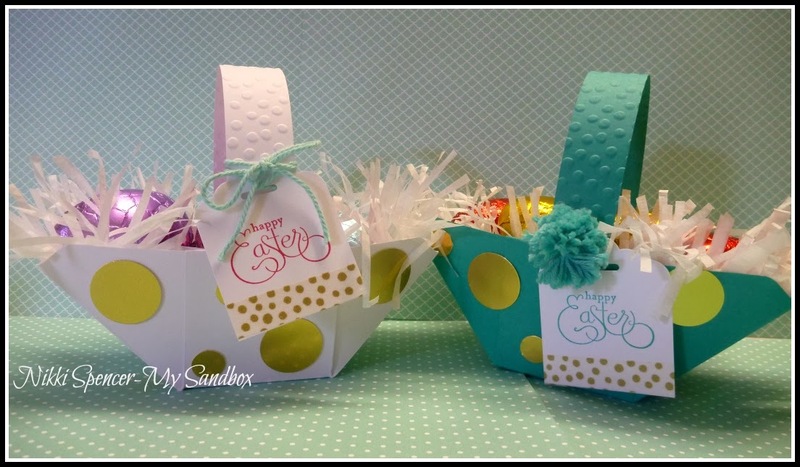 I decided to make these projects Easter themed and I'm just a little obsessed with these bunnies..:0) and love how cute those boxes turn out too! 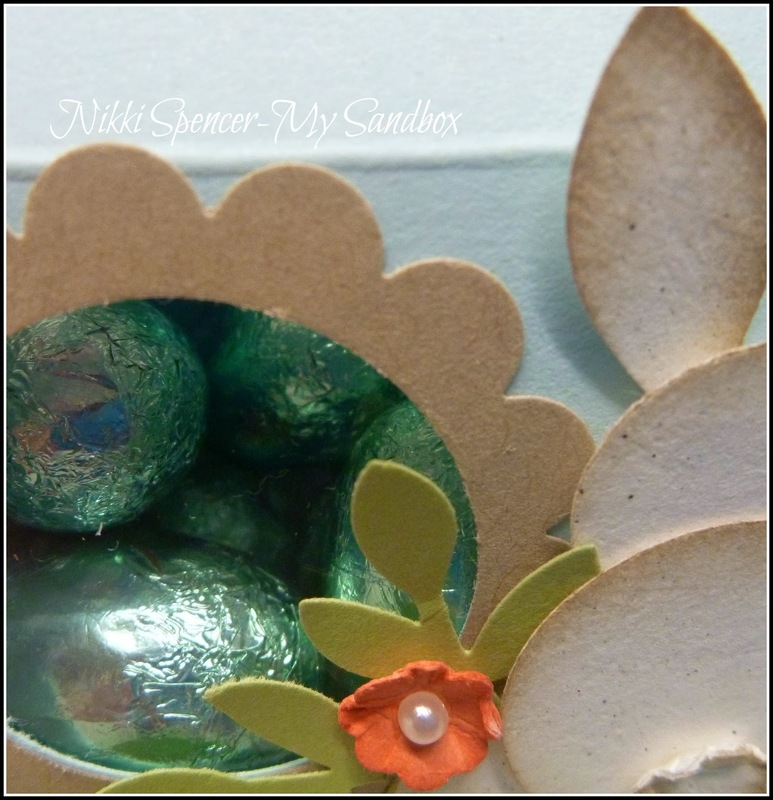 Happy Sunday to you!.....Just popping in to share an "Easter/Baby" project! 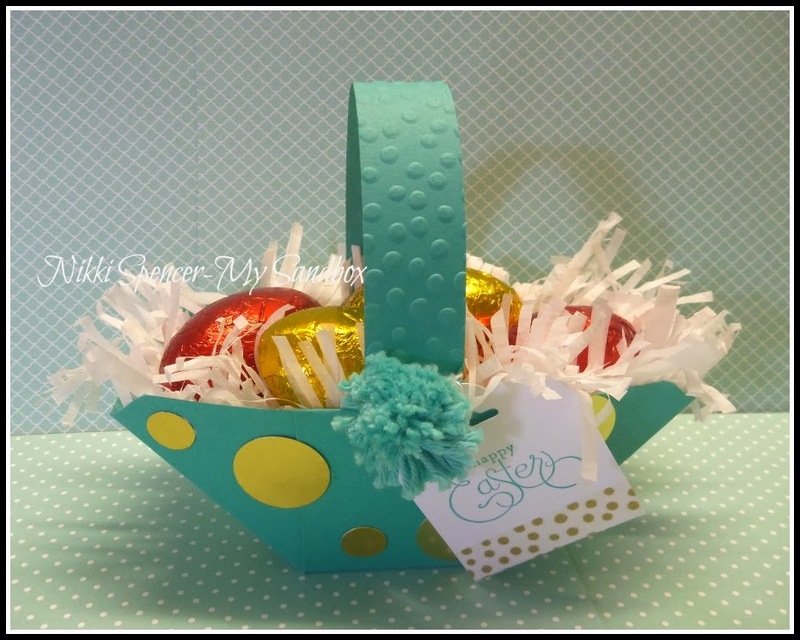 Although it does not have an Easter greeting, it could easily be used for that, but this one is for a bub that is due at Easter time...:0) I opted for a caddy style box and altered the measurements from Dawn Olchefske's super cute little caddy which you can find Here. The measurements and score lines l came up with are in the pic below. 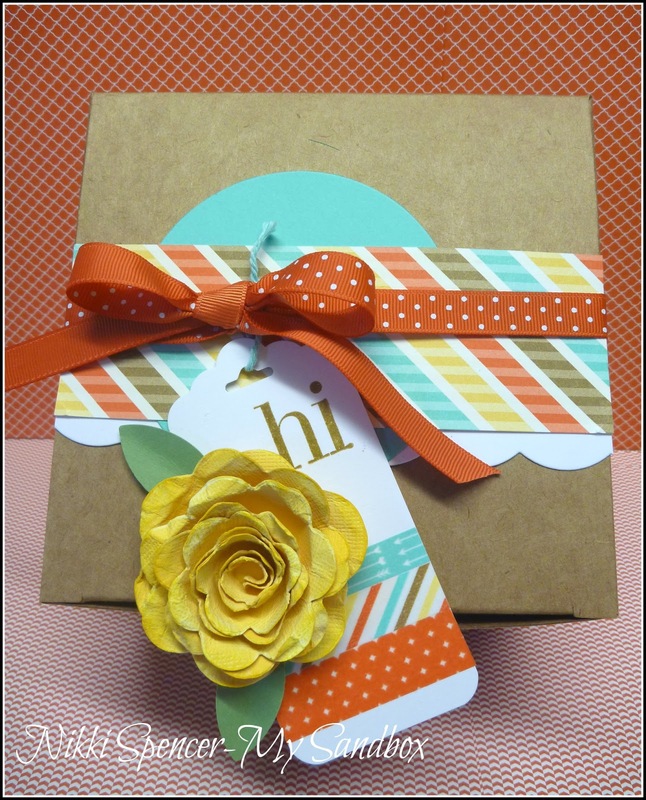 It's held together with a fun fold and 2 mini glue dot's. 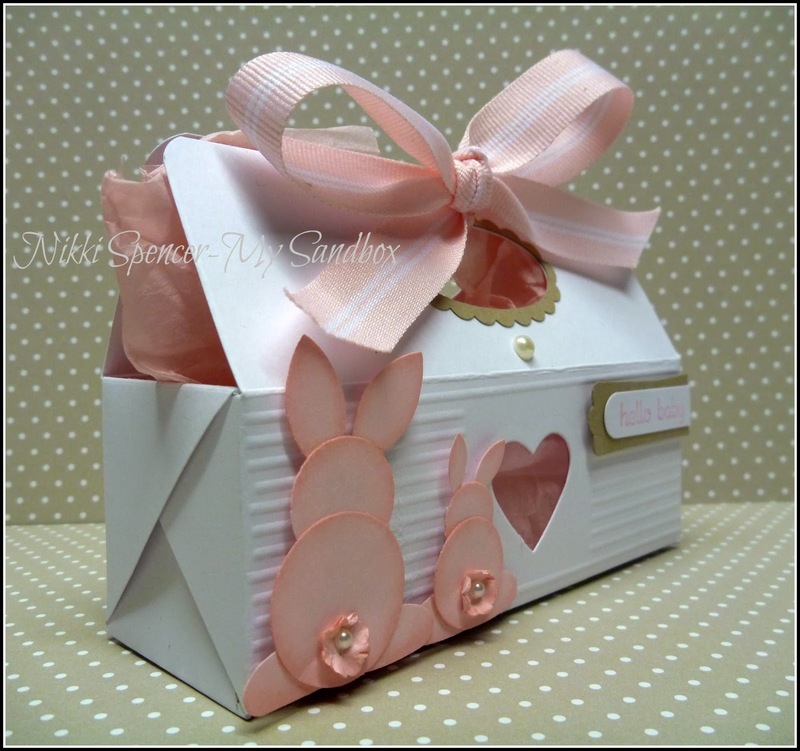 I decorated the caddy with some punch art bunnies made with Pink Pirouette Cardstock. 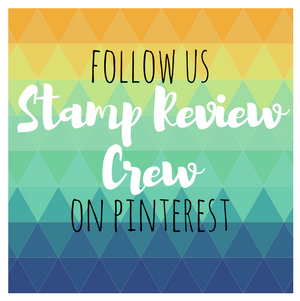 To create the big bunny, l used 1" & 3/4" Circle punches for the body, Build a Blossom Punch for the ears, Trio Heart punch (retired) for the feet & the Itty Bitty flower Punch for the tail. 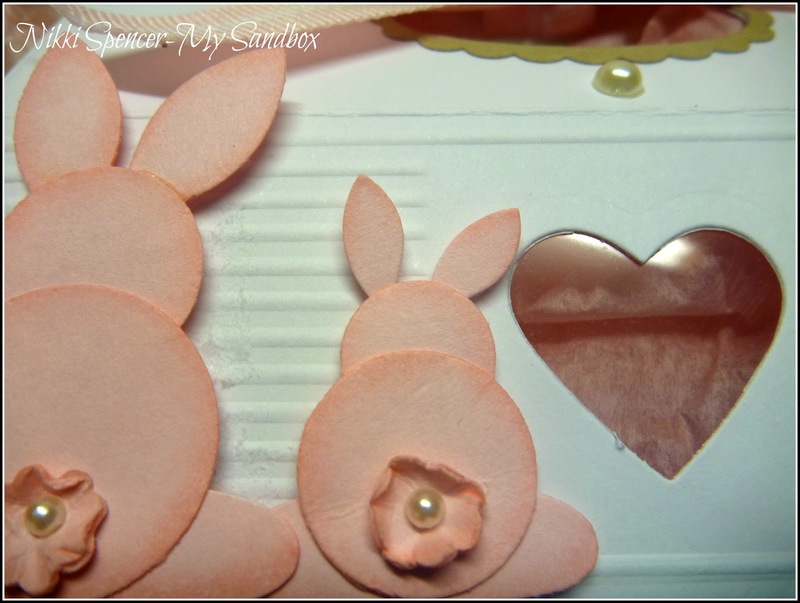 For the baby bunny, l used 3/4" & 1/2" Circle punches for the body, Flower Punch (retired) for the ears, Trio Heart Punch for the feet & Itty Bitty flower Punch for the tail. 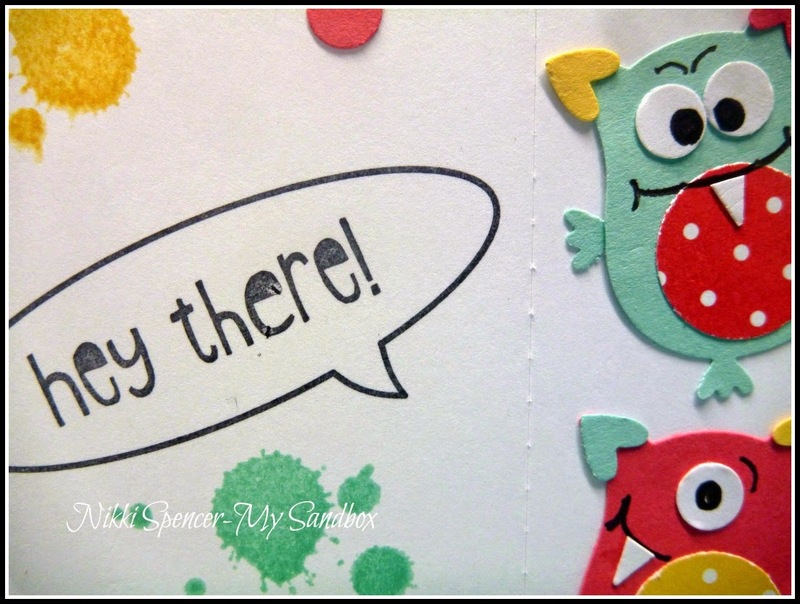 Cardstock: 8.1/4" x 8.3/4" Score along the 8.3/4" side @ 1.3/4"--3.1/2"--5.1/4"--7"
rotate & score @ 1.3/4" & 6.1/2"
Good Morning!....With Easter just around the corner our challenge over at Just Add Ink this week is to add "Easter Bags, Boxes or Baskets" This challenge idea came from Kim and is a great way to get started on some Easter packaging. 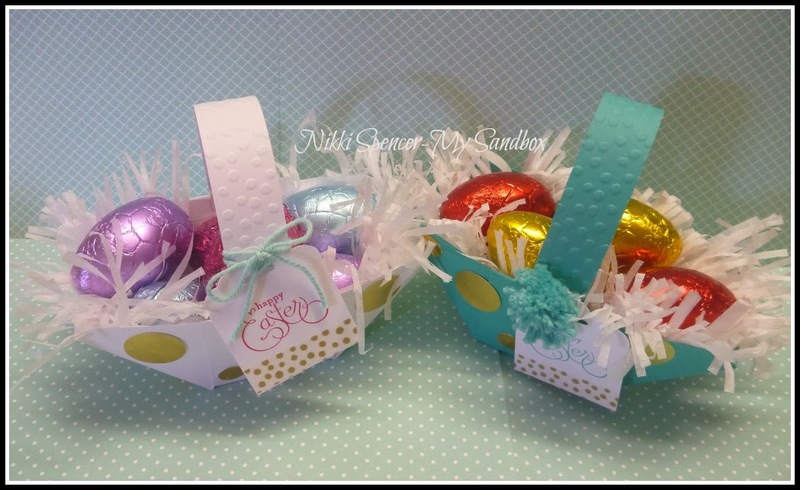 Both of my girls have carried on the tradition started when they were little and buy the kids "New" winter PJ's along with some Easter goodies and l love that they have kept that tradition going! 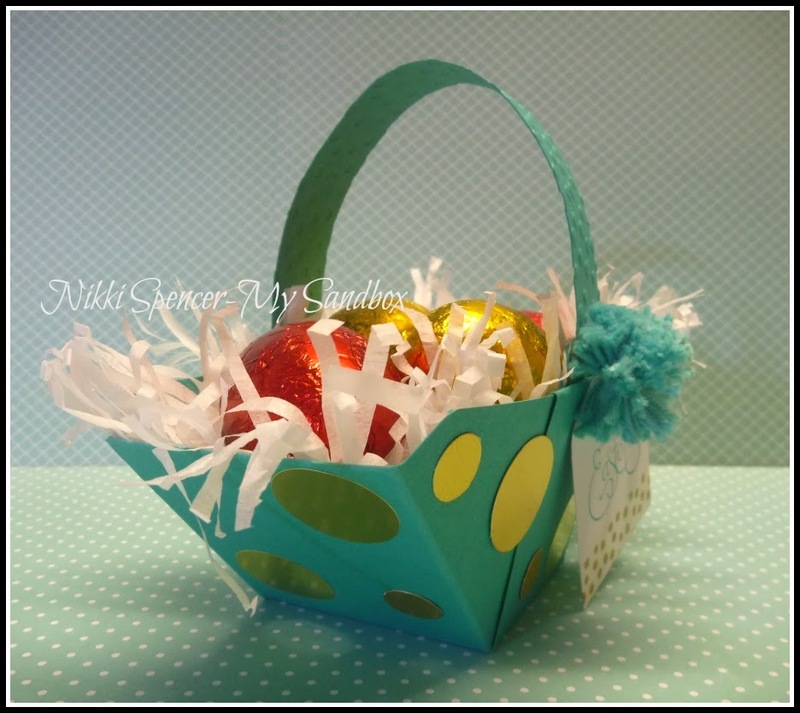 This cute little basket was made using the "Envelope Punch Board" and it's so simple to create! 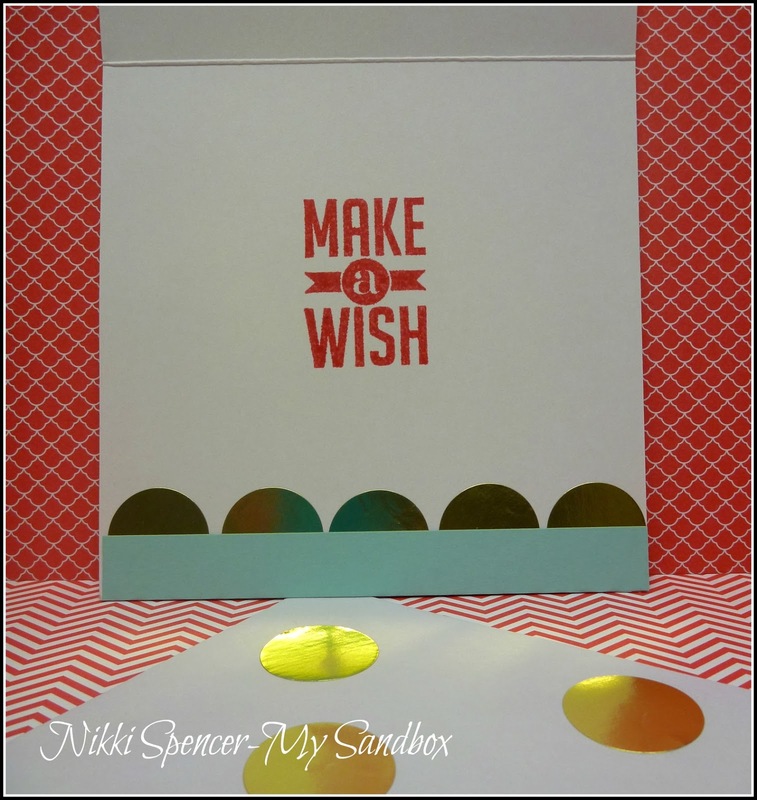 I used this great tutorial from CraftyHallett for the measurements and a variety of circle punches and some gold foil cardstock to decorate. 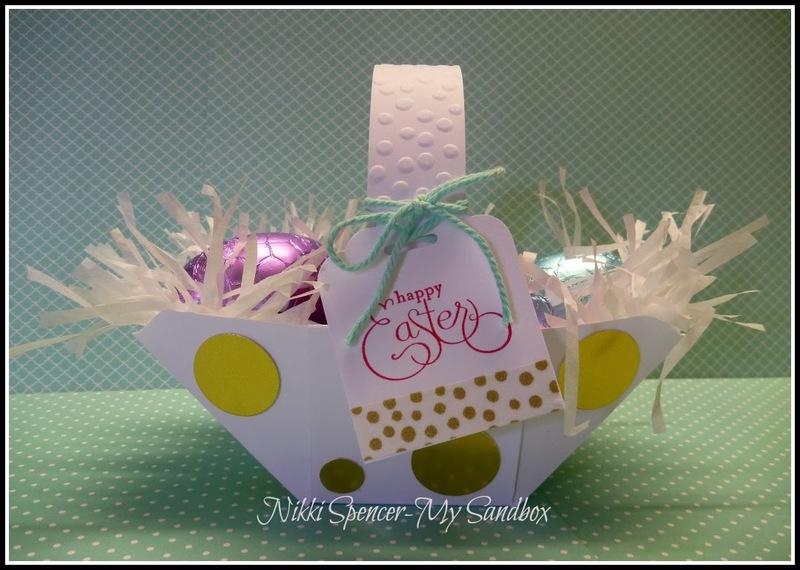 I also went to town on some white tissue paper with the Fringe Scissors to nest the eggs in. 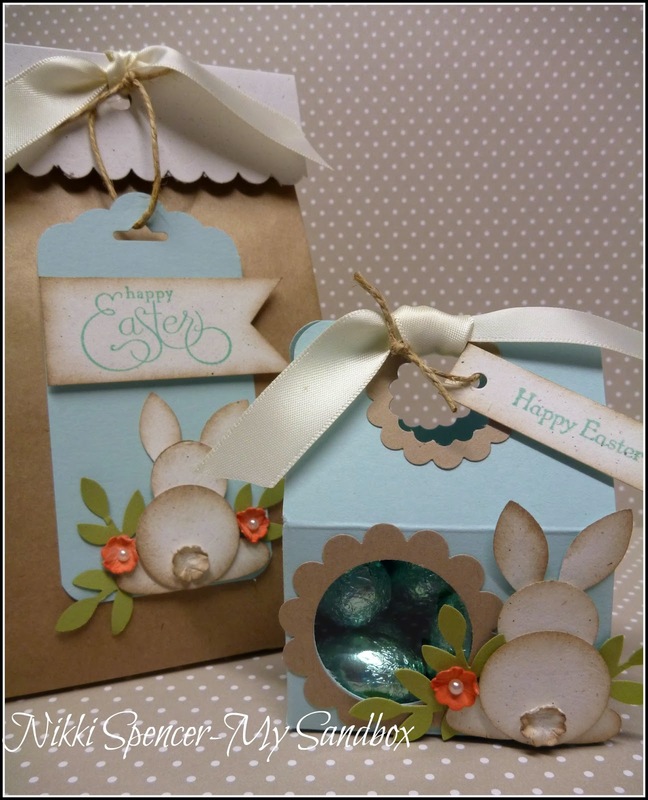 Pop on over to the Just Add Ink blog and check out the great array of Easter packaging on display from the design team. 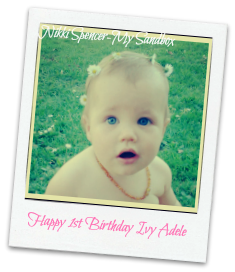 Hey there, Today is a special little persons 1st Birthday! 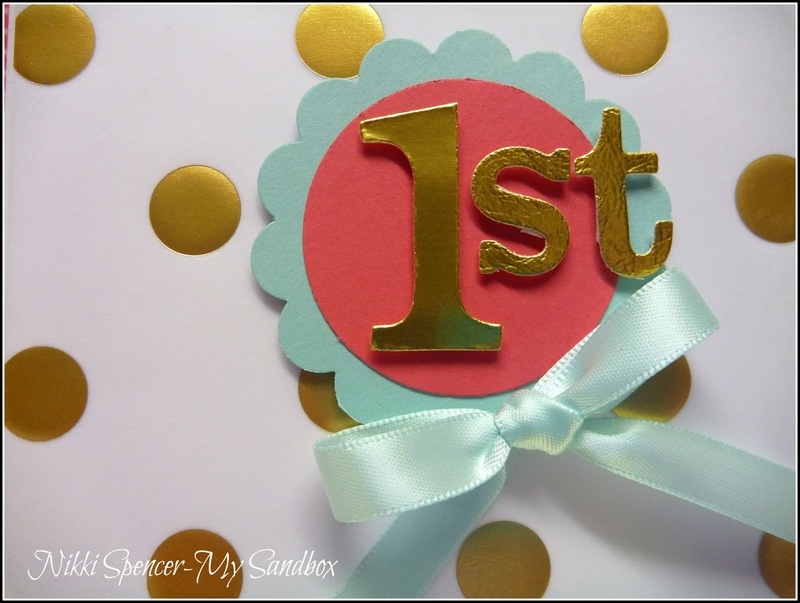 You might remember l mentioned her birthday theme/colours awhile ago, so in keeping with that, her card is very "GOLD & SPOTTY" with just a hint of Pink & Mint (well Soft Sky was as close as l could match) I used some of the stunning gold patterned Vellum & gold foil cardstock from SU and some of those big gold stickers l purchased for just this occasion from my local newsagent. 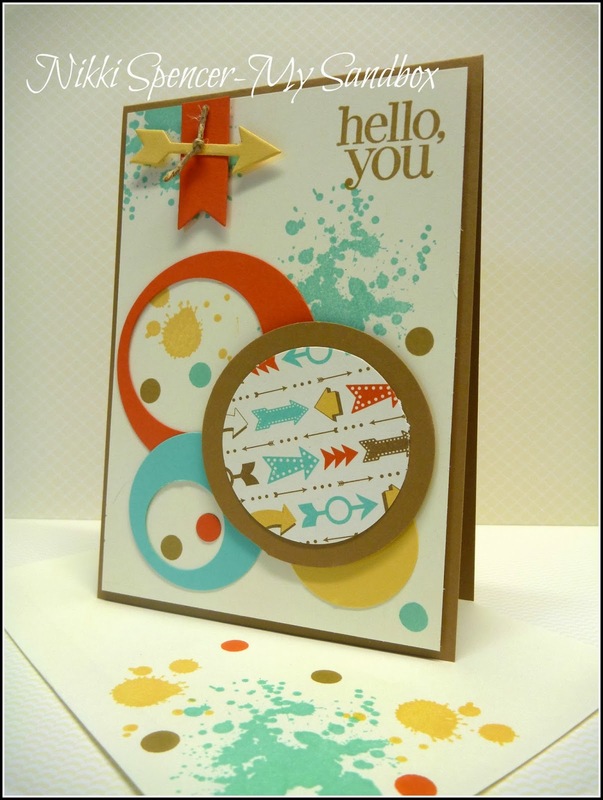 "Thanks for stopping by & have great day"
Morning!....Today's card reminds me of my childhood...Yes, it was loooong time ago..:0) It uses the gorgeous "Retro Fresh" dsp and coordinating cardstocks in Baked Brown Sugar,Tangerine Tango, So Saffron & Pool Party and a whole lot of circle punches & Thinlits. 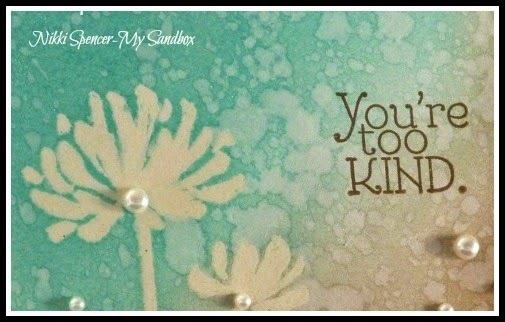 I was aiming for a very "RETRO 60's" look, not sure that l made it, but l'm happy with it and just love the colours. 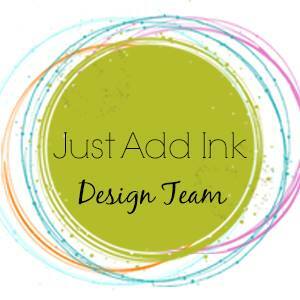 Hello!....Time to share our challenge over at Just Add Ink and this week Delys has challenged us to "Just Add Layers"....Well, this is something that l don't do a lot of, or l should say l keep my layers to a minimum as rule, preferring a simpler style. 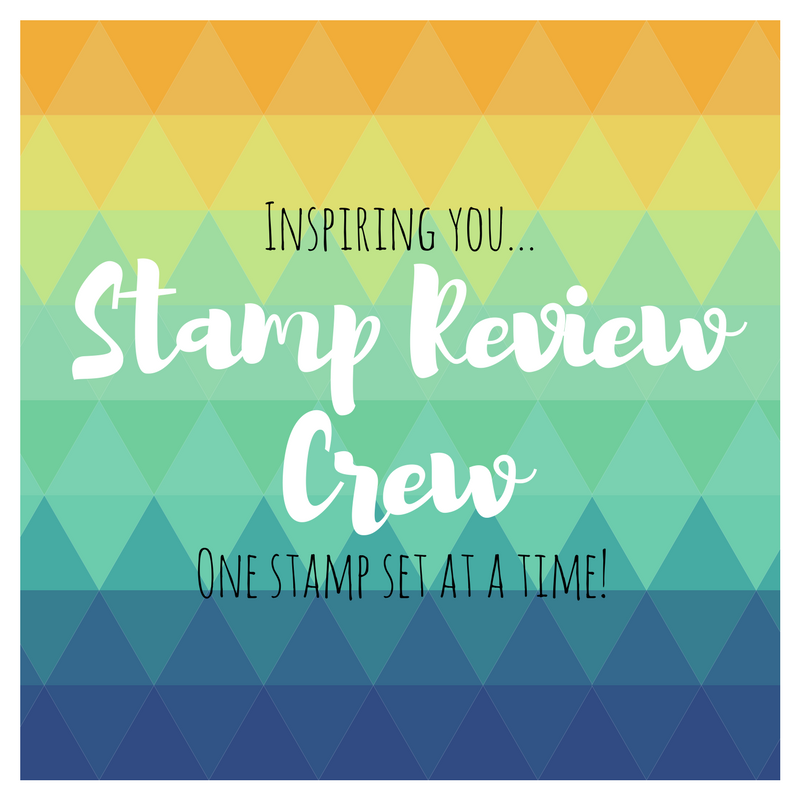 So for me this was a good challenge, it took me out of my comfort zone and although my layers are still fairly simple and streamline they are there! 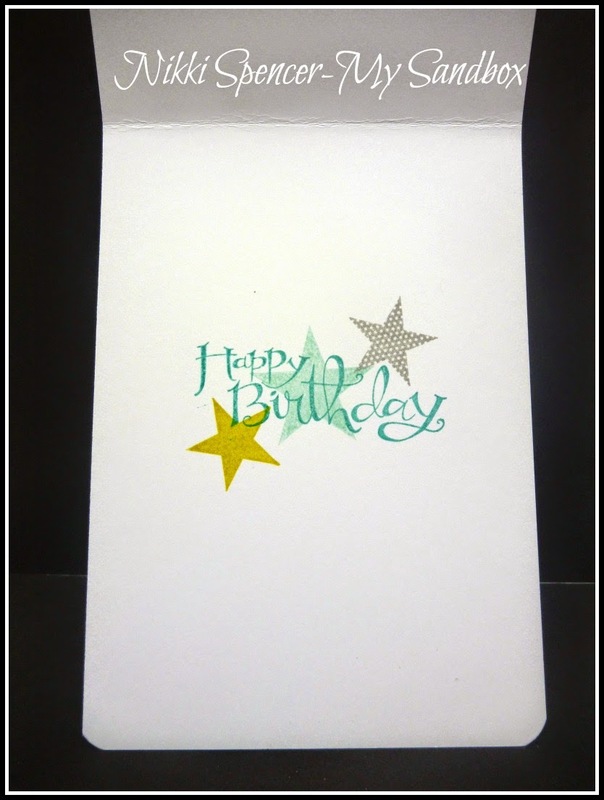 I kept my colours minimal using Island Indigo, Whisper White and Silver foil cardstock, not that you can see the silver all that well. 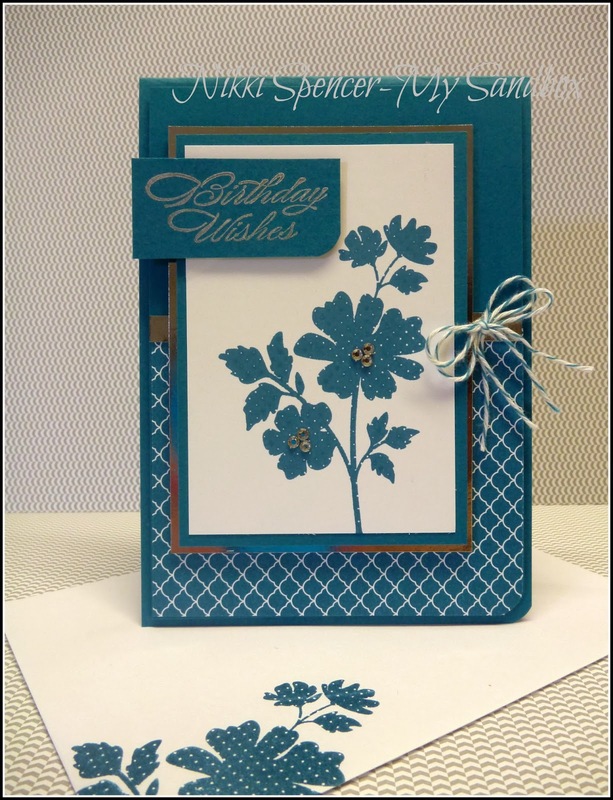 The design team have used a variety of ways to add layers to their projects, all of them are really lovely, don't forget to pop on over and check them out.